Hi lovelies! Do you remember this MY T-SHIRT Audrey tee? It was May and I wore it with a blazer, but since I din't want to go for a banal "jeans and t-shirt" look, I decided to try something more feminine and "hot Sicily friendly", so I opted for this high-waisted blue mini skirt from Forever21 and a comfortable pair of wedges, that you've already seen on my Neon and Spikes Outfit. Do you like my Firmoo sunglasses? I talked about them in an earlier post and I couldn't wait to show you how they look nice and fashionable on! I hope you like my look and I'm waiting for your comments; have a great weekend! Buongiorno! Ricordate la mia maglia MY T-SHIRT raffigurante Audrey? Era Maggio e l'avevo indossata con un blazer e non avendo voglia di abbinarla al solito jeans, ho deciso di provare qualcosa di più femminile e "a prova di eccessiva calura siciliana"; ho quindi optato per una gonna blu a vita alta Forever21 e un comodo paio di zeppe che avete già visto nel mio outfit Neon and Spikes. Vi piacciono i miei occhiali da sole Firmoo? Ne ho parlato in un post precedente e non vedevo l'ora di mostrarvi quanto siano carini indossati! Spero che il mio look vi piaccia e aspetto i vostri commenti; vi auguro un grandioso fine settimana! Cute and simple look, hun! Abbiamo le stesse zeppe, io però ce l'ho in verde! ti va di dare un'occhiata al mio nuovo outfit>? i love audrey and this is such a cute twist on her iconic look! this is too cute and the color of you skirt is so beautiful! Stai proprio bene, mi piace molto la gonna blu con quella t-shirt! 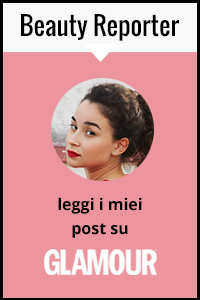 Mi piace molto anche il tuo blog, da ora ti seguo con Lookbook, Facebook, Twitter, GFC e Bloglovin'! ChicToChic on Facebook, give me your like! I follow you too! thank! Thanks for the comment on my blog - iv followed u. This is truly the dreamiest outfit! <3 I love love love your Audrey top! Cute blog! love your style! xo. Questa tee è strepitosa e l'hai abbinata benissimo! your Audrey tee-shirt is so cute!